Launching Env-Guard: No more mistakes in production! It has been almost two months now since I uploaded my first Chrome extension to the Chrome Store. And now, I finally have a Blog where I can officially talk about it with the world! My friends and I work in a Web application that is mainly an internal administration tool. The application does all sorts of complicated things and touches several domains within the company. In a normal day at work, we develop against our Local version of the app. Then, when we want to test it, we deploy it to a QA environment. When all is good and tested, we deploy to Staging and finally to Production. So, doing the math, we have 4 environments where our app runs. And.. it looks exactly the same in all of them. We thought: Wouldn't be nice if we could easily identify at which environment we are looking at? 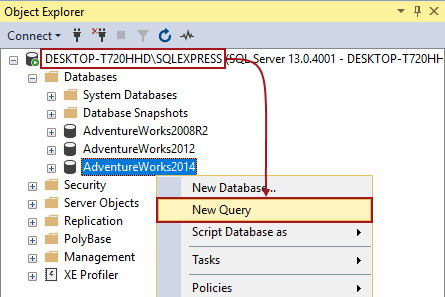 Something similar as you can do on SSMS on the Query Tabs when fiddling around production databases (scared). So, I decided to create a Chrome Extension! In the end what I wanted was to change the Chrome Tab based on the URL. The Tab should be modified in some way that would enables us to easily distinguish between our environments. URL: This is just a text. It can be a full URL or parts of it. Operator: The operator is what the extension will use combined with the URL provided to find the tab. The extension acts on the location.href and applies the operators on it. If it matches, then we have a Rule to apply! An example of an Operator could be Starts With or a Regex expression. The extension supports more, of course. What can I customize on my Tab? The most important requirement for us at least, was to be able to look at a Tab and know immediately which Environment it belongs to. My initial idea was to change the background color of the whole tab, but I soon discovered that Chrome does not allow it. Bummer. Pretty cool, huh? Of couse, you don't have to use all three customizations. You can pick them as it make sense for you. I had a lot of fun building this. It was my first Chrome Extension and I learned a bunch along the way. Plus, it saved me (and hopefully others) from making mistakes in Production. When I started developing this, I found another very similar extension called Tab Modifier. It has the same concept but contains way more features than mine, because of that it can be used in many other ways. Env-Guard is developer "oriented" and will always have this constraint. I plan to only add features that make sense to us. So, if you want to modify your tabs definitely check this one out. And thanks @sylouuu for understanding the goals of my extension.